With a description like that, Far Cry 3: Blood Dragon seemed almost too ridiculous, if not too stupid to be real. In fact, prior to its release many gamers thought just that given it first appeared near April Fool’s Day. Fortunately it proved to be very real, and what we got from Ubisoft is probably one of the greatest homages to 80’s action films ever created in a video game. Blood Dragons - they shoot lasers... from their eyes. Players assume the role of Sergeant Rex Power Colt (voiced by Michael Biehn) -a Mark IV cyber commando sent to a remote island to find and eliminate rogue agent Colonel Sloan. Set in an alternate post-apocalyptic 2007, Rex must track down Sloan while dispatching members of the cyborg army Omega Force as well as various mutated animals– all while dishing out cheesy one-liners and killer-puns that would make Arnold Schwarzenegger smile with glee. 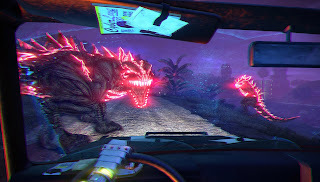 Gamers who have played Far Cry 3 will instantly feel at home as Blood Dragon piggy-backs off the same “stealth versus head-on” gameplay mechanics with a few enhancements expected of a super-soldier, particularly speed. Rex zips across the land with such ease and agility you’ll barely feel the need to hop into a vehicle as you hunt down Sloan. 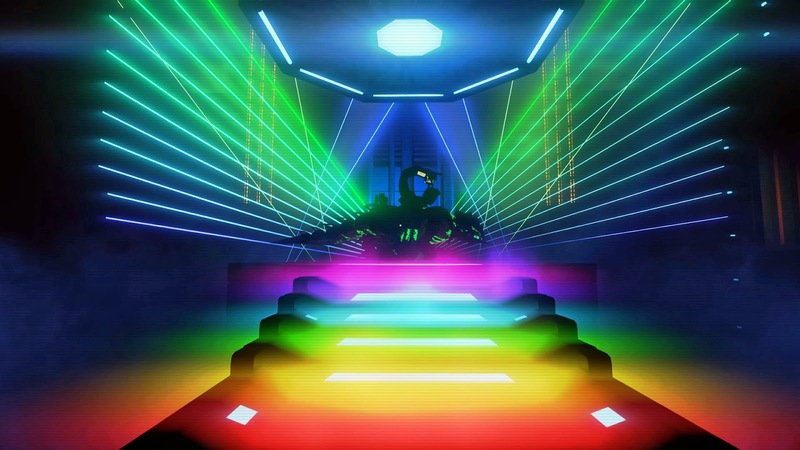 Additionally, Rex packs a serious arsenal of weaponry that grows absolutely devastating as you progress towards the game’s explosive, neon-fueled climax that fully embraces the ridiculousness of the game. It’s silly. It’s stupid. But it’s oh-so fun! so completely described the essence a game. Blood Dragon’s only real flaw is how short it is. One could easily complete the main mission, all side quests, and find all collectibles in under seven hours. But given the low price ($15.00 on Xbox Live, Playstation Network, and Steam for PC), it’s hardly worth the complaint. Some might also argue how easy the game is. Even on the highest difficulty the game proved to lack any real challenge. But then again, being the badass Mark IV Cyber Commando that you are, perhaps that’s how it should be – easy. Far Cry 3: Blood Dragon is an excellent example of DLC done right. 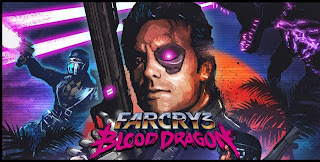 Aside from offering more of the great gameplay fans of the Far Cry series love, it does so as an incredibly ridiculous and over-the-top tribute to 80’s action flicks complete with one-liners, montages, VHS tapes, and various other tropes backed by an amazing synth-rock soundtrack. It's a hilarious experience that fully embraces what it is; a stupid, shallow experience that promises nothing more than fun. Sadly it's an all-too short of an experience that'll leave you wanting more. 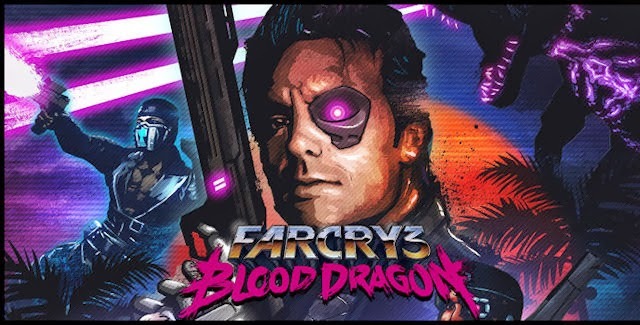 Hopefully rumors of Blood Dragon becoming into a full-fledged series holds true, and that we haven’t seen the last of Sergeant Rex Power Colt. Hahahahaha! I was working on a draft for a review of this game (and the main Far Cry 3 as well) a week ago! Yours is much better though, good job sir!